Anne Farrell originally lived with her parents, James and Ann on Kilkieran Road in Cabra West, Dublin. When She was 20 years old she emigrated to America and took up a post with the Irish Embassy in Washington, where she met her husband Jack Richens. One of the major loves in Anne’s life was Irish Dancing. She began her dancing career when she was about five years old. On moving to Washington Anne made sure to pack her dancing shoes in the hope that she might some day be able to show other members of the embassy staff how to dance. Anne learned Irish dancing from the legendry dance master Maitui O Maoileidigh while growing up in Dublin. In 1968 Anne turned a dance studio in Dayton, Ohio into the Richens Academy of Irish Dance which then, in partnership with John Timm became Richens/Timm Academy of Irish Dance and now also has a location in Dublin, Ohio, Indiana and Wyoming. She later assumed leadership positions in international Irish dance organizations and trained 49 regional champions, 11 North American champions and a dozen performers in Riverdance. 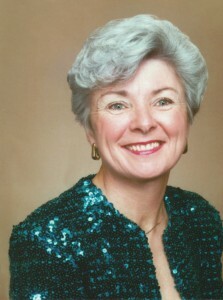 Anne became an internationally renown teacher, judge, judge examiner of Irish Dancing. She also became a prominent leader within the organizations that sanction Irish dance on a regional, national and international level.